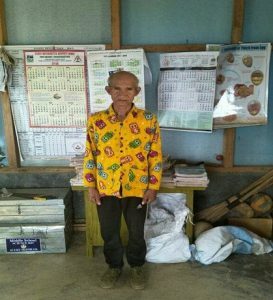 Six decades back, Lalringthara, a resident of New Hruaikawn village in Champhai district of Mizoram had to quit his studies when he was in Class II. Now at a ripe age of 72, his indomitable wish to learn English has turned into reality as he got himself enrolled in a Middle school in his village from this academic year. The septuagenarian has proved that nobody is too old to learn. Lalringthara had to quit school 60 years ago when he was in Class II due to financial problems. After his father’s death his mother married off to another man. The family turmoil was then followed by the insurgency in Mizoram, he was fostered by his uncle and had to do household chores for his family. Lalringthara can read and write Mizo language but lately he has been bothered by English words he came across in local newspapers which he cannot understand. So he decided to join school to be able to read and write in English. “Last year I decided to rejoin school and get a proper education. 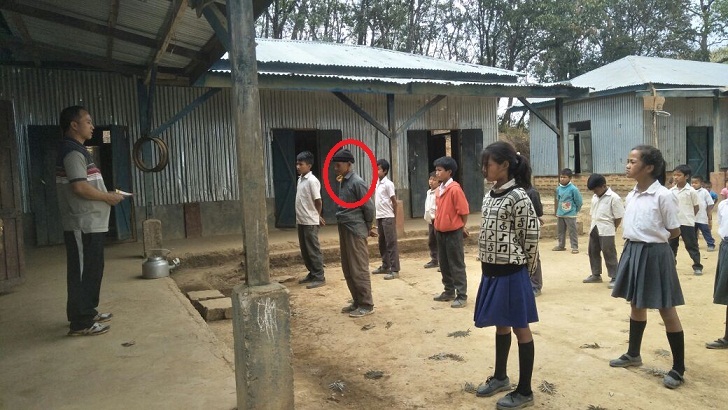 I have tried to get enrolled at the village’s school last year, but then I was told that the academic session was already halfway, I waited for the new session,” Lalringthara told Northeast Now. “Lalringthara approached me last year and expressed his desire to learn English and get proper education. I was surprised and was reluctant at first but seeing his seriousness I told him that I would admit him to the school in the next session,” headmaster of Government New Hruaikawn Middle School Vanlalkima said. Lalringthara was born on May 11, 1946 at Khuangleng village in Champhai district. He had to drop out of school while he was studying in elementary section. Due to grouping of villages during the insurgency period, he had to shift from one village to another and getting education was a distant cry. Reading is his passion and despite his limitations the urge to understand English now has taken him to a new challenge, which is a Herculean task indeed, at his age. Lalringthara has read The Old Testament of The Holy Bible 14 times and The New Testament 16 times. He is presently working as a chowkidar at New Hruaikawn Presbyterian Church. According to the 2011 census of India, the literacy rate of the village’s population excluding children aged 6 and below is 87.59%.